Established in 2008, the company was previously known as, Halfway 2 Habana (H2H). Over five years H2H went through many changes, including a name change to Club Havana 134. Renovations added a gourmet kitchen to offer an acclaimed fine dining menu. Providing excellence in service, food, beverages and cigars; the main idea became encapulated with the slogan, "It's all about the experience". Many were saddened to see Club Havana 134 close its doors. After closing, the knowledge and experience was used to create a refined new experince called "Havana Through the Door." This new approach was refined into a smaller and more efficient operation. If you are an Anderson native or visiting the area, Havana Through The Door is the perfect place to relax and enjoy a great cigar. 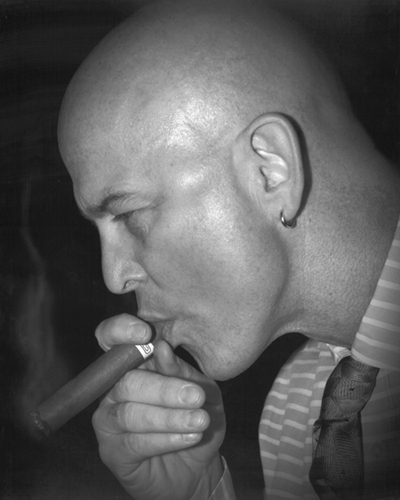 Meet Eric, the owner, a well-trained cigar connoisseurs who is more than happy to aid you in your selections including smoke and drink pairing. Havana Through The Door remains eager to make your visit an excellent and memorable experiene. After all, "it's all bout the experience." Seating areas include the bar, lounge, private courtyard and outdoor patio.